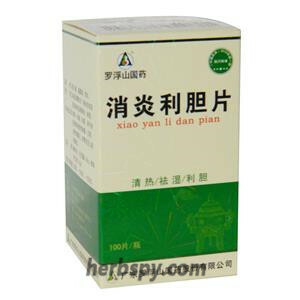 For acute and chronic cholecystitis, biliary tract infections, gallstones and so on. Clearing away heat and eliminating dampness,dispersing stagnated liver qi for promoting bile flow. 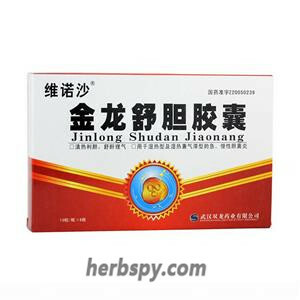 For oral use after meals,2-3 tablets 3-4 times daily or by medical ordor. This product contains berberine hydrochloride. 1. Efficacy of choleretic effect: by increasing the activity of liver na+-k+atp enzyme, improving the function of sodium pump of liver cell membrane, increasing the amount of bile secretion by hepatocytes and promoting bile secretion. 2.Anti-inflammatory effect: Animal experiments show that after treatment with Daning tablets, gallbladder inflammation can be alleviated, gallbladder epithelial cells return to normal, cell swallowing activity is enhanced, dark cells in the epithelium are increased, and gallbladder epithelial function is enhanced. 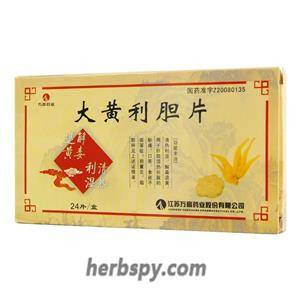 3.Anti-stone effect: Daning tablets can prevent the formation of cholesterol-type stones by increasing the secretion of lecithin and reducing the nucleating factor, and can also reverse the pigmentation of gallstones by reducing the activity of β-glucuronidase in liver and bile. form. 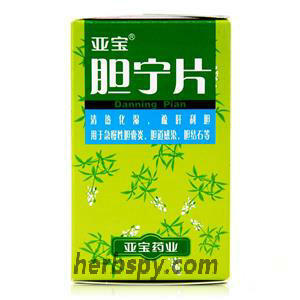 4.Anti-hepatic cell steatosis effect: Daning tablets can restore the ultrastructure of denatured hepatocytes to normal, and the fat degeneration rate of the liver is reduced. One of its possible mechanisms is achieved by increasing the activity of liver superoxide dismutase, reducing the level of lipid peroxides, and reducing the intermolecular polymerization. Stage Food and Drug Administration Approval number:Z14020781.